Figures released by the Department for Communities and Local Government (DCLG) suggest councils will struggle to make any further cuts to waste and recycling services as local authorities were told they faced an overall 1.8% reduction in funding from central Government. Industry figures have also warned the funding reduction could further depress England’s household recycling rates, which are already flatlining. DCLG published the provisional local government finance settlement for 2015/16 on 18 December. A DCLG-commissioned survey undertaken by Shared Intelligence and Grant Thornton also revealed local authorities had made the most savings so far in their central services and environmental and regulatory services. But it also found that the councils’ average saving from environmental and regulatory services budgets for 2011/12 was 10%, but only 5% in 2012/13. A further report by LG Futures for DCLG estimated the total net expenditure on waste management by English local authorities in 2012/13 was around £3.25bn. Phil Conran, director at consultancy 360 environmental, told MRW: “Given that the service local authorities provide is contracted, they can’t really cut back on the core collection services, but I can see more councils charging for civic amenity site use and bulky/green collections. “The real dilemma is that things like the 2020 targets, TEEP and the MRF Code of Practice could actually lead to higher costs and the question will therefore be how you reconcile all these issues against the sort of budget cuts that are proposed. Sally Talbot, vice chair of the Local Authority Recycling Advisory Committee, said more councils may cut back on recycling communications and start charging for some waste streams. 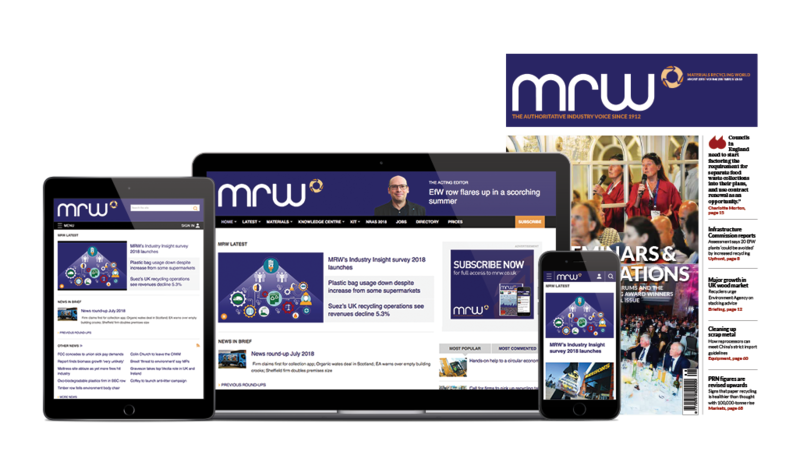 Writing for MRW’s sister title Local Government Chronicle, Talbot said that increases in recycling rates over the past ten years had now levelled off. Recent Defra figures showed waste recycled from households was up only 0.2% on the previous year. “The rise occurred while local authorities were introducing and expanding their recycling collection schemes,” she said. “However, times have changed and against a background of increasing pressure for local government to reduce financial burdens, local authorities will certainly be looking at delivering their services differently in order to gain efficiencies and savings. Analysis by the Local Government Association (LGA) suggested councils in England would actually receive 8.8% less government funding to run local services from April and would need to find savings of £2.6bn. It said the latest cut brought the total reduction in core government funding to councils to 40% since 2010. Research the LGA carried out in 2014 found 60% of councils were considering stopping some services. Mayor Jules Pipe, chair of London Councils, said boroughs were “approaching a situation where only the most essential services will be viable with little remaining for valued amenities that boroughs are not legally obliged to provide”.